Note: The promo code offer is applicable only to new members on the site registering for an account in 2019. There is no stated expiry date for the promotion at the moment. Choose either the casino or sportsbook code and click the button above. You will automatically be directed to the Betfair website. Click ‘Join Now' and register as a new user. Enter our promo code in the relevant field. Deposit and place 5 qualifying bets of at least £10. You will be awarded a £20 free bet within 24 hours. This can be repeated a further 4 times to claim £100 total free bets. For a full list of the offers available from the operator, read below. Qualifying bets must be a minimum of £10 on a single bet with odds of 1/2 (1.5) or greater. This must be done on the Sportsbook section of the website (i.e. bets on the exchange section do not qualify). Your reward will be credited as a £20 free bet within 24 hours of your fifth qualifying bet being settled. The free bets must be used on the sportsbook and on single bets. Each free bet can only be used once, so make sure to bet the full £10 each time, or the remainder will be lost. Free bets must be used within 30 days or they will expire. The promotion is for UK & Ireland players only. You cannot claim this reward if you use a Neteller, Skrill or Moneybookers eWallet to deposit. Betfair outdo the majority of online bookies with their offer. After the free bets are settled, you’re not tied in to any further terms and conditions, but if you get to know Betfair, you may well wish to continue betting with them anyway. Having made their name first as a betting exchange, their sportsbook is a damn fine site too. Betfair is a relatively new player in the fixed-odds sportsbook market, having introduced this service in 2012. There is a comprehensive coverage of many different sports to bet on, from the most popular like Football, Rugby Union, Horse Racing and Tennis, to other less known disciplines like E-Sports, Gaelic Games or Bowls. If you're looking to bet on any sporting event, chances are you'll be able to find the bet with Betfair. Bear in mind that this list varies throughout the year as it depends significantly on the sporting calendar. For example, this list was compiled just after the Rio 2016 Olympic Games, so no Athletics or Swimming markets were available at that time. Of course, the next time Betfair prices up a market for a major meeting in one of those disciplines, the link would be added back to the website menu. Some less popular sports like Chess, Futsal or Pool only have betting markets available on an infrequent basis, for example for world championships. If you can't find the bet you're looking for, it's always worth getting in touch with customer services as outlined below, as bookmakers are sometimes open to the idea of pricing up new markets if it will help them gain your business. There are regularly special offers for existing customers, such as enhanced odds and free bet opportunities. Check the “Promotions” page every now and then, so you don't miss out on claiming these if they take your fancy. As you can see, this is an indication of the kind of promo Betfair like to run, usually around the competition that's in the public eye at that time, as they know punters will be following the action closely. For these offers, you don't need to opt in; simply place the relevant bet and reap the rewards if the promo terms are met! Betfred or Betfair: where to place my bet? You can place both back bets and lay bets on Betfair exchange. A back bet is when you bet on an event to occur e.g. for a team to win a football match. A lay bet is when you take on the role of the bookmaker and are in effect betting against an event occurring. In our example, if you placed a lay bet on the team to win, you would win if the team lost or drew. On Betfair, back bet odds are shown in blue and lay bet odds are shown in red. When placing a lay bet, you will need to put down enough money to cover the full potential payout i.e. the backer's stake plus their potential winnings on top. So be careful that you are fully aware of how much you could win or lose on a lay bet. There is a commission amount deducted when you make a net winning with any betting market on an exchange, which is how the operator makes a profit. With Betfair, the commission rate varies depending on how many loyalty points you have earned on your account. Why use an exchange rather than a regular sportsbook then? Well, for starters you can often find better odds when looking to back a selection. If your potential returns on Betfair Exchange are higher, you would be silly to bet on a sportsbook with inferior odds. This won't always be the case, mind you, and it will usually depend on the liquidity of the market. In other words that's whether a lot of people have already made this kind of bet. Most people bet on sports events in the day or hours leading up to kick-off. Also be careful as odds on a betting exchange can be volatile, particularly close to the start of an event when everyone is getting their money on. 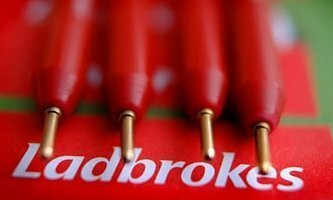 Typically there are less promotions and promo codes available on a betting exchange, as you are betting against another punter rather than the bookie themselves. But the commission discount mentioned above is an example of the kind of promotion an operator could offer. If we have news about another Betfair promotion code for the exchange section, rest assured we'll let you know about it here as soon as it happens. 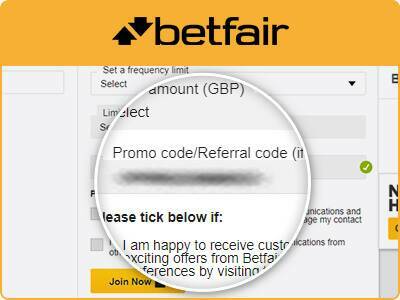 New casino players have several options of welcome bonuses to get stuck into, with the Betfair promo code shown above. 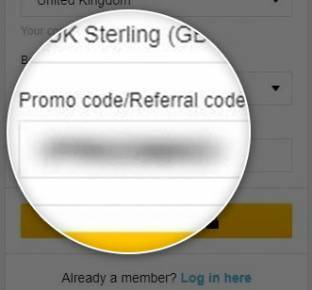 Note that for all casino offers, you will need to click “Accept” or “Claim Now” from the promotions page of your Betfair account. There are also so-called ‘fair-play' rules that Betfair have put in place regarding bonuses, to prevent players from using low-risk strategies. Remember to read through the full terms to see these. This live casino bonus can be claimed in addition to one of the welcome bonus options above, for all first-time players at the Betfair live casino. Once you have accepted the terms of the offer, you simply need to deposit and your bonus funds will be credited automatically. The Arcade section of the Betfair website is divided into Top Slots, Jackpots, Table Games and All Games sub-categories. 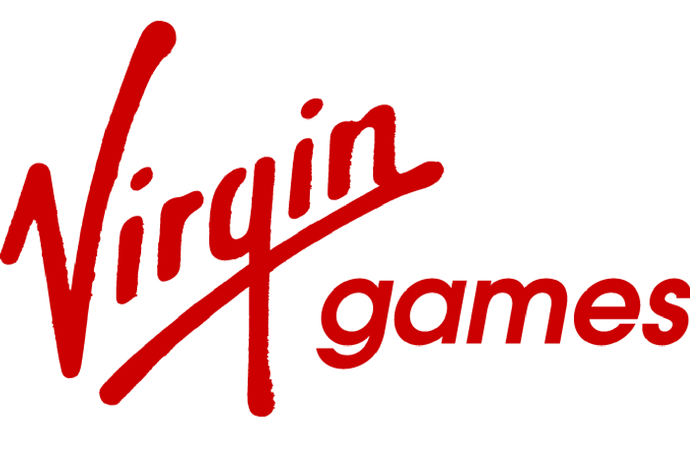 Some of the most popular games are shown on the landing page for quick access. You can receive a bonus of £10 when you opt in and wager your first £10 on selected arcade games (Starburst, Wish Upon A Jackpot, Fairy Fortunes, Lucky Wizard, Rainbow Riches). Unlike most casino game offers, you are only required to wager 1x the bonus amount before making a withdrawal. You are effectively getting £20 worth of stake for an outlay of £10, so any return of over £10 would mean a profit. That is of course not guaranteed, but statistically you are more likely to make a small profit than to lose. New poker players can use our Betfair promo code to take advantage of a welcome pack made up of several different components. To secure the first deposit bonus, you will need to earn status points by playing in cash games or tournaments. The bonus will be gradually released in chunks of €10 and you'll have 45 days to redeem the full amount. Helpfully, there is a tracker in your My account section, where you can follow your progress through the bonus. To play Betfair Poker, you must download the appropriate software: either the poker client for your computer or app for smartphone/tablet. There are also various Multi-Table Tournaments and Sit and Go Tournaments which players can take part in on a weekly basis. Start to play in the Bingo rooms and get rewarded with a welcome bonus within the first month of your registration. Simply stake a minimum of £5 and you’ll get a £15 bingo tickets bonus. This will be credited to your bingo bonus balance with 4x wagering requirements on any bingo games. You also get a £10 Games bonus which has 25x wagering, eligible on everything except bingo, multiplayer slots, roulette, blackjack and crystal balls. Betfair revolutionised the betting industry from the time it was created as a betting exchange in the late 1990s and early 2000s. 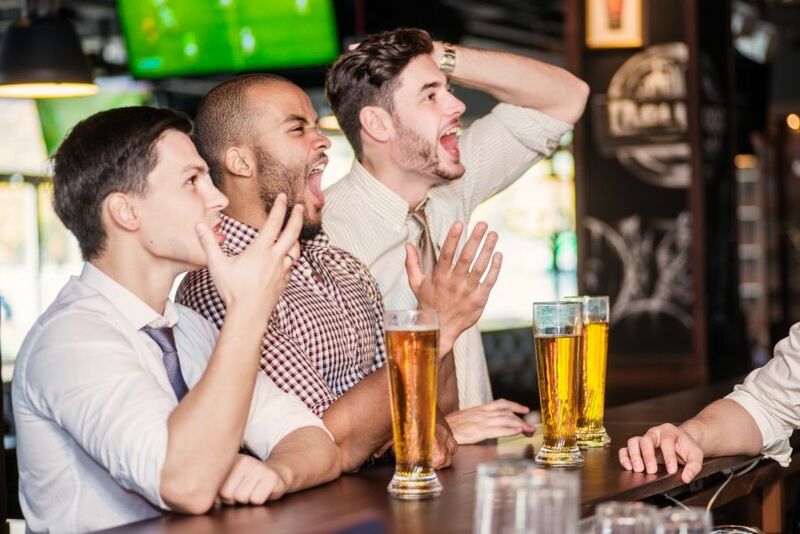 For the first time, bettors could take on the role of the bookie by laying bets to other punters, with Betfair matching the stakes and paying out the winners. As an online-only business, Betfair doesn’t have any betting shops. It’s a company which knows all about the needs of online players, with many bonuses and free bets available through promo codes. In fact, Betfair only launched its fixed-odds sportsbook in 2012, so it’s a relative newcomer for a company of its size. In terms of other kinds of game, you’re covered for pretty much anything else you can find with other online bookmakers, like poker, bingo and casino. Betfair and Irish bookmaker Paddy Power completed a merger in early 2016, creating a betting and gaming giant to rival all others! Betfair offers a top free live streaming service, which is surprisingly hidden when accessing their website, either on desktop or mobile. Unlike other bookmakers offering this kind of service, there is no direct link from the sportsbook or exchange to the live video page. We used Google to find it, but new users who are unfamiliar with Betfair might not realise they can watch events live with the bookie. The only clue you’ll find on the homepage is the small play symbol next to some betting events, which indicates the live stream option. Click on the icon and you are directed to the live video page. This is representative of the good range of sports that can be watched throughout the year, but of course it varies according to the sporting calendar. It has to be said that there are some interesting football matches on Betfair’s live streaming. You can see action from good quality competitions, including World Cup qualifying from South America and Asia/Oceania, as well as club matches from the UEFA Europa League, AFC Champions League and Copa Sudamericana. You have to remember that this service is designed primarily for people betting online, not your average armchair fan. So if you’re used to HD quality images, on-screen stats and expert analysis on Sky, make sure your expectations are realistic when viewing an event on Betfair. In all cases, you need to have a positive balance in your Betfair account in order to use the live video service. 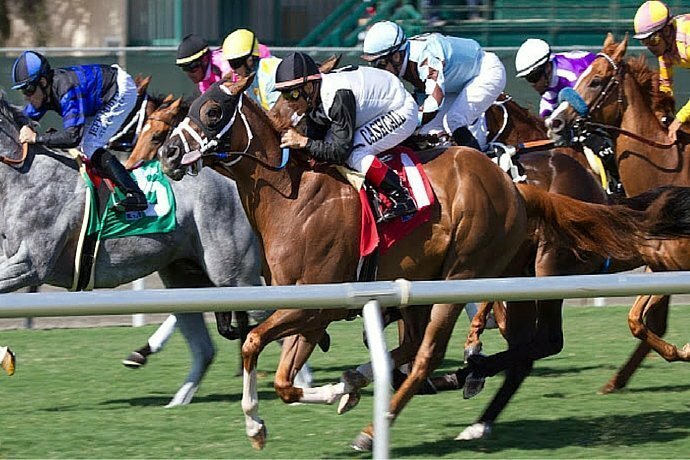 A minimum stake is also required to watch any horse race or greyhound race. Even though it is a nominal amount, this is still a pet peeve of ours. If you bet £20 on a single race, you are wagering four times more in total than if you bet 50p on 10 different races in a day. Yet your live stream viewing would be much more limited, which doesn’t seem fair. But them’s the rules, with Betfair and every other bookie, so it doesn’t look like that will change any time soon. 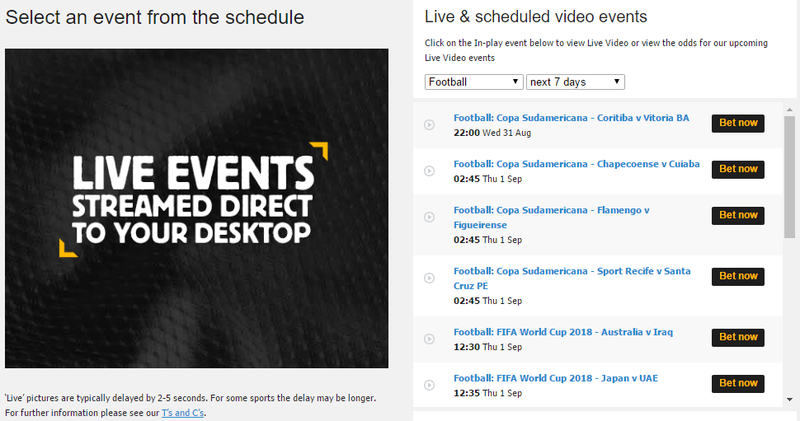 Whether watching on your computer or mobile device, remember that there is a time delay of a few seconds when watching live events on Betfair. Over on the casino floor, Betfair doesn't pull any punches when it comes to live games. With this amount of different versions available, you can't fail to find what you're looking for. The glamorous dealers are ready to welcome you to the tables, so get your chips down and hope for a lucky streak! Other interesting features include the sidebar showing available promotions and a live feed of updates when there is a change of a dealer or, for example, the same number is spun twice in a row at roulette. Don't forget about the live Casino welcome bonus we talked about earlier. You'll be eligible for this with your Betfair promo code. Like most of the biggest betting & gaming providers, Betfair has got you covered if you want to play on the move. You can sign up with a Betfair promotion code, access your account and bet on your mobile devices. Betting.Betfair – Betting Tips, Odds & Expert Advice on Football, Horse Racing, Tennis, Gold and More. These correspond more or less to the different sections shown on the website. As real-money betting & gaming apps are not allowed on the Google Play store, the selection of apps is much more limited for Android device users. However, there is still a dedicated app for the sportsbook service, which you can download from the Betfair website. This appears to also work for Windows mobile devices. Alternatively, Android users can simply use their mobile browser to bet on the other services like casino or exchange. Using an app has the advantage of getting an experience which has been designed completely for mobile players. But if you are on an Android device and haven't got another option, using your browser is better than nothing and the functions should work as normal. Each player at Betfair has a main wallet which can be used to bet on most sections of the website e.g. sportsbook, exchange, arcade, casino, bingo. This is handy as you won't need to transfer funds if you wish to play on different sections. One peculiarity at Betfair is that all customers also have an Australian wallet, which might seem confusing at first. Betfair says that it was necessary to create this separate wallet so that it could hold funds in Australia. Funds in the Australian wallet are used only for betting on Australian markets. You will still need to deposit into your main wallet and then make a transfer from the “My Account” page if you wish to bet on Australian markets. Meanwhile, poker also has a separate wallet. You will also need to perform a transfer from your main wallet into the poker wallet in order to play for real money. If you have under £5 in your main wallet, you will be prompted by a pop-up to make a quick deposit when logging into your Betfair account. Obviously, it is preferable if you are able to use a payment method which doesn't incur a fee, as this would chip into any winnings you may have. Also bear in mind that some payment methods are restricted for the free bet promotion, as explained above. When signing up to Betfair, you will have the option to set account limits for deposits, losses and transfers. This is not compulsory, but if you wish to have any of these limits, it can be a daily, weekly or monthly amount. At any time, these limits can also be set or modified from the “Player Protection” section under “My Account”. Increases to the limit or frequency will take 7 days to come into effect, whereas decreases are immediate. Betfair is probably our favourite bookie when it comes to customer service. You’re certainly in good hands when it comes to using your promo code offer or trying to get a query sorted. Whatever section of the website you are playing on, the ‘Help’ link is situated at the top of the screen, next to the Betfair logo. This is a good place to have it in our opinion, as any newcomers will find it easily. Clicking of one of those opens up a sub-section with the top 5 FAQ for that area and the option to ‘View all answers’ if yours is not one of them. All in all, there are 350 help topics at the time of writing, covering just about everything you could need to know. At the bottom of the main help page is a list of ‘Top queries’, the first of which is ‘Sportsbook: How can I use my free bet?’. That goes to show that a lot of people using the site for the first time get muddled up trying to use the promo code offer. With our guide, you should be just fine, but it’s reassuring to know you can double check. Those guidelines seem accurate too, going on the times we have contacted Betfair in the past. Contacting Betfair customer services seems refreshing and different from most other bookies. They are helpful without using an excessive amount of mundane pleasantries, something you often get with outsourced customer service teams, not just in betting and gaming but in any industry. It is usually a giveaway that the person hasn’t really understood what you are asking. OK, we all prefer politeness to rudeness, but having your query dealt with is the most important in our view. In short, Betfair are always knowledgeable and quick to help. You can’t go wrong really. As a well-known and respected gaming operator, Betfair attracts a lot of interest from international bettors. In 2014, the operator opened in the United States, in collaboration with Trump Plaza Casino. However, it's not as simple as that. Due to the wide range of regulations across different countries, you can actually play on Betfair elsewhere, while there are some countries where you simply cannot play. See our guide to the countries where Betfair is legal or banned for full details. When setting up your account, you will have to choose your account currency and thereafter won't be able to modify that setting. Each bonus is subject to its own terms and conditions and sometimes has a different value from those shown above, according to the currency used. Read through the terms for each bonus to be sure you are eligible and get the best value out of these Betfair promotion codes.